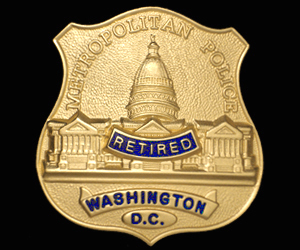 DC Metro Police RETIRED badge. Reverse enamel retired banner in center, service quality, full size, 3D badge. Total custom die shield, designed for retirees, GOLD finish. Long Panel (1) * Must be between 0 and 15 characters. Short Panel (2) * Must be between 0 and 4 characters. Rear Engraving / 1st Line (Add $10.00) * Must be between 0 and 44 characters. 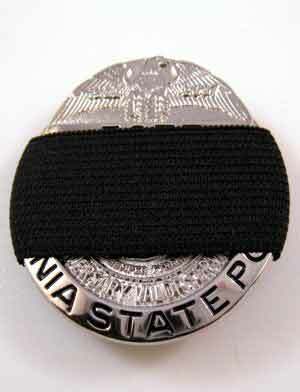 Rear Engraving / 2nd Line (Add $10.00) * Must be between 0 and 44 characters.